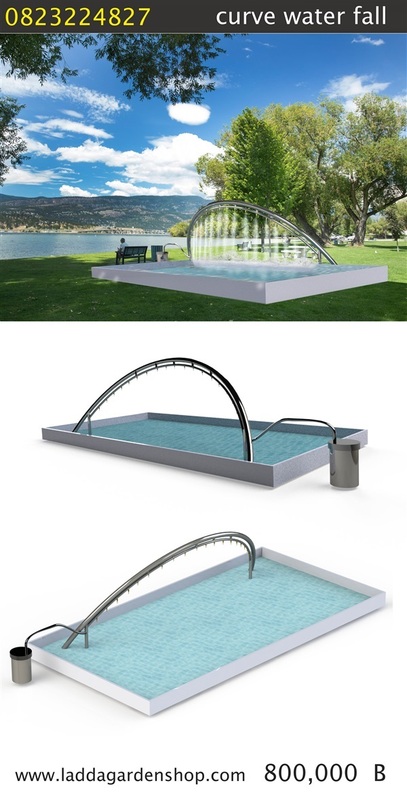 Ready-made Half-Circled Water Curtain for swimming pool (radius 4 meters) is 800,000 Baht. It can be custom made as the order. This item presents the outstanding scenario to the place. The half-circled water curtain is easy to install with spa sprinkler system. It will turn to be aromatherapy pool which is support for the healing process when you put some herbal oil into the water. Water-Aromatherapy is to use essential oils derived from aromatic plants. (It is important to emphasize that the essential oils are extracted from plants only.) To treat a variety of symptoms from infections, dermatitis to immunodeficiency and stress. The use of essential oils has been used in Europe for over hundred years.